Load up two of your favorite hunting buddies and keep them safe during transport with the Hunter Series 38”L x 36”W Dog Box from Owens Products. 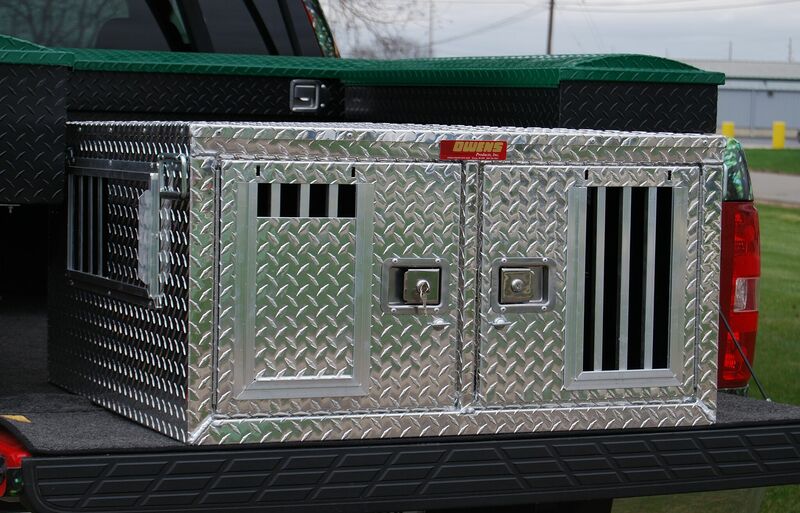 Dual compartments ensure your dogs stay protected and comfortable during your drives to and from the field. 10”L x 7”W side vents maximize breathability. Lockable slam latch doors with storm covers for increased security. Rugged diamond-tread aluminum construction provides years of reliable service. Rattle-free spring-loaded carry handles. Compartment: 34”L x 19”W x 18”H (each). Overall: 38”L x 36”W x 20”H.